We Know Your Industry - Our Industry! We Build Online Tools to Help You Get the Job Done! 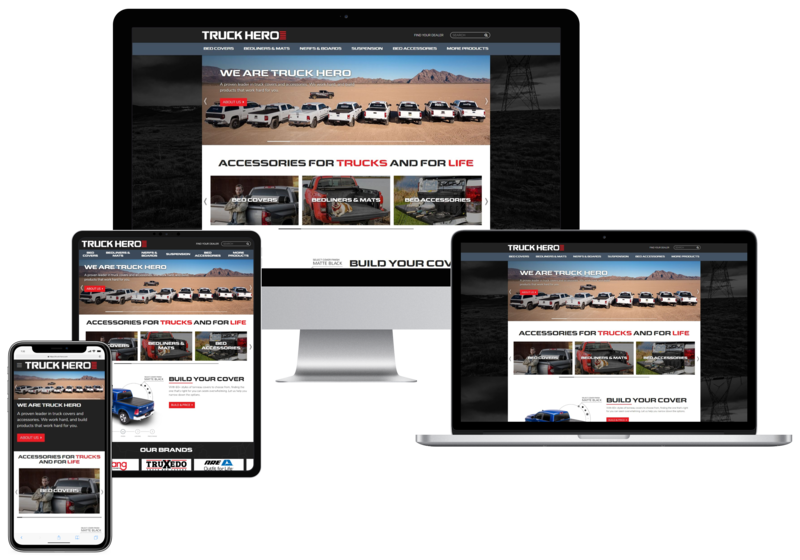 Your website is the face of your business, as well as your greatest sales and PR representative. Your online presence requires a team that thoroughly understands your industry and its objectives. You need someone on your side that is more than just a web developer; someone that can ensure that your business language is properly translated into the development of your new website and produces a digital environment that not only captivates and motivates your customers but integrates seamlessly with your business. 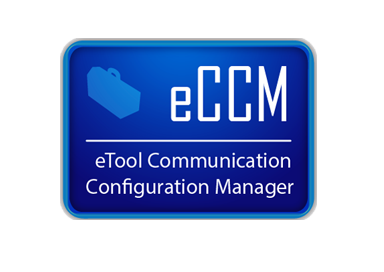 Get your product information online and web-ready using the eTool Product Information Manager (ePIM). This set of tools facilitates organizing your product information for use on the web and streamlines the way you provide data to your trading partners. 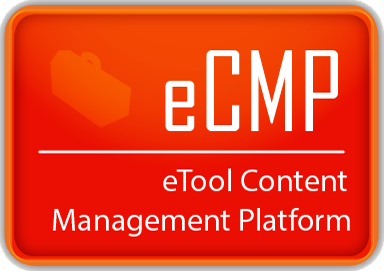 The easy-to-use eTools Content Management Platform (eCMP) makes editing your website simple, and adds commerce to allow consumers shopping on your website to purchase your products. 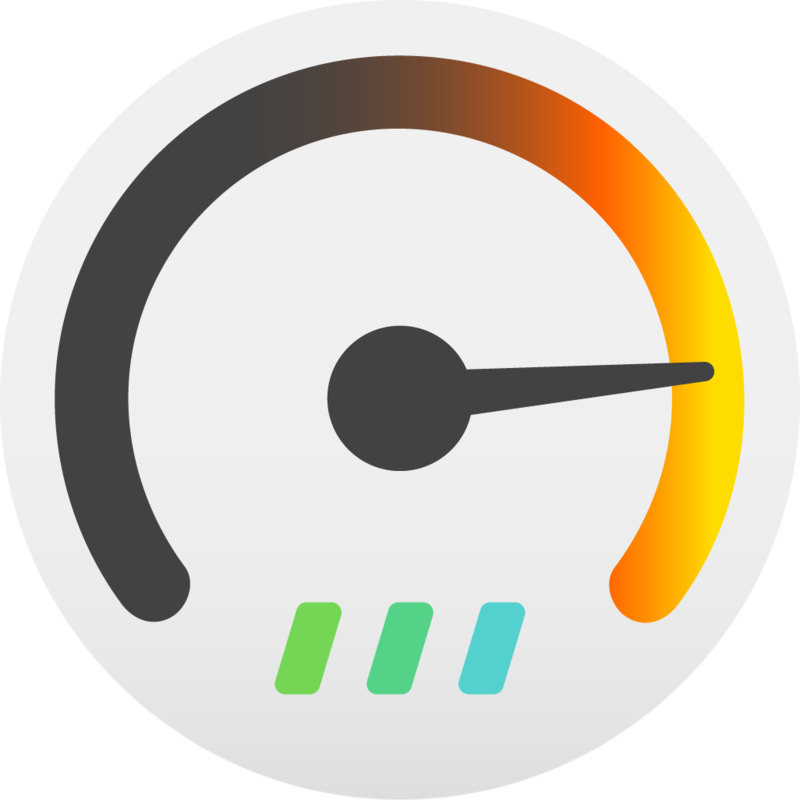 With no software installation required, you can update anywhere there is an active internet connection. Using eICP Internet Commerce Platform you can easily maintain and manage all eCommerce aspects of your website. 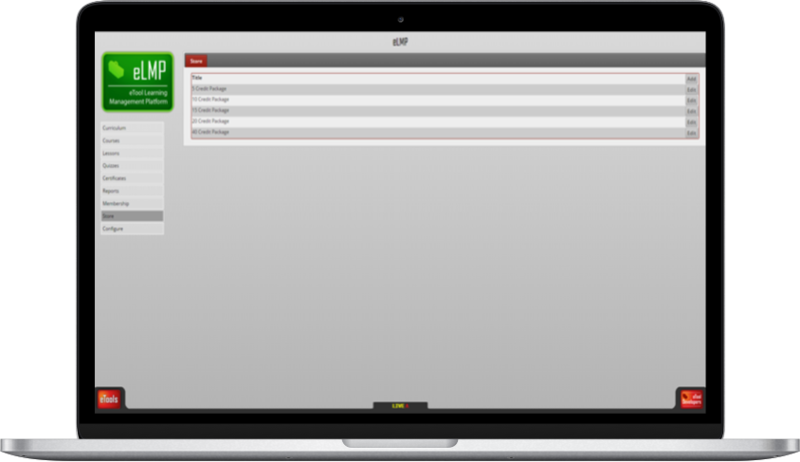 Accept Secure Credit Card and PayPal Payments through our eICP module. Create Coupon Campaigns, set tax and shipping rates, all in one convenient location. 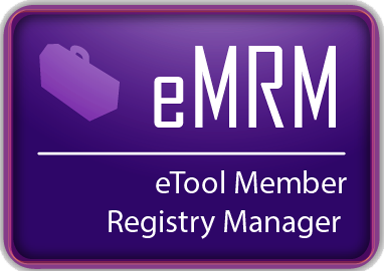 The Member Registry Module provides management of contacts and companies. 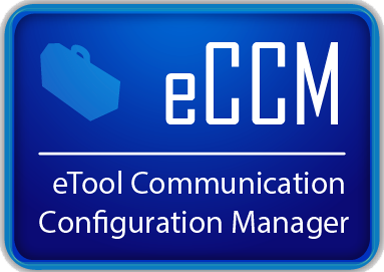 Using eCCM Communication Management Platform, keep an organized record of all communications through your website using e-mail logs, all responses to forms on your website will be collected here. 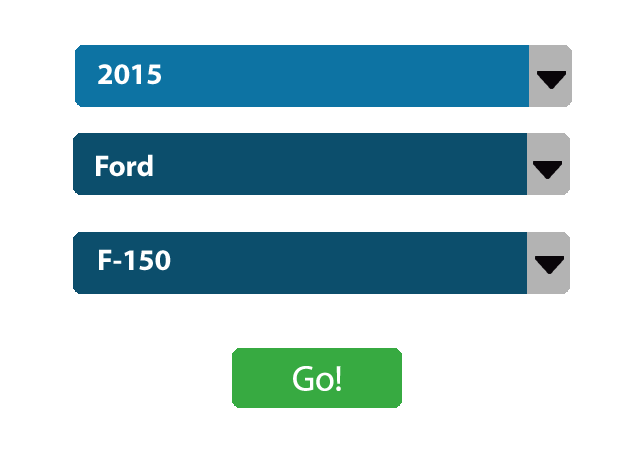 Create and send e-mail campaigns to your dealers, or customers using our system. Create and save customized mailing lists for your convenience. 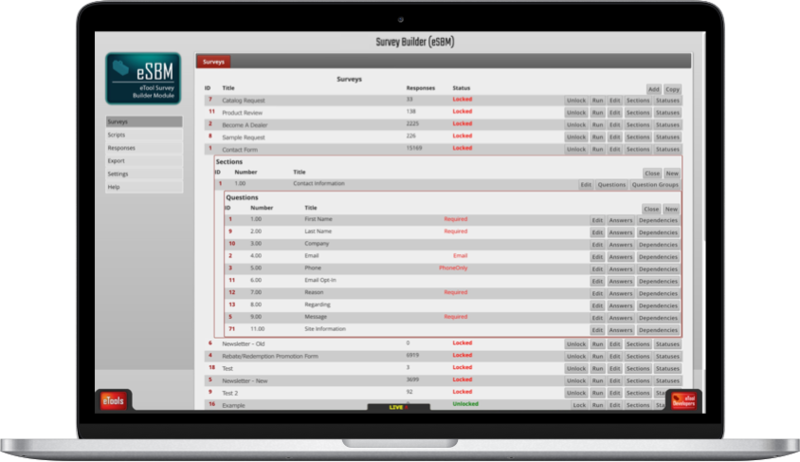 Clients can use the survey creation tool, eSBM, to create and maintain any kind of form they desire for their website needs. You can use this tool to create Online Order forms, Dealer Registration forms, Contact forms, Warranty forms and many more for your specific online needs. Easy, Cost Effective Training Online! 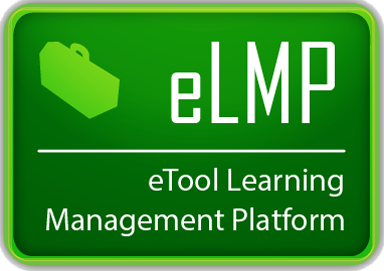 Using eLMP gives you the ability to train on the internet. You can save time and money by teaching your sales staff, reps or countermen about the newest products in the aftermarket. 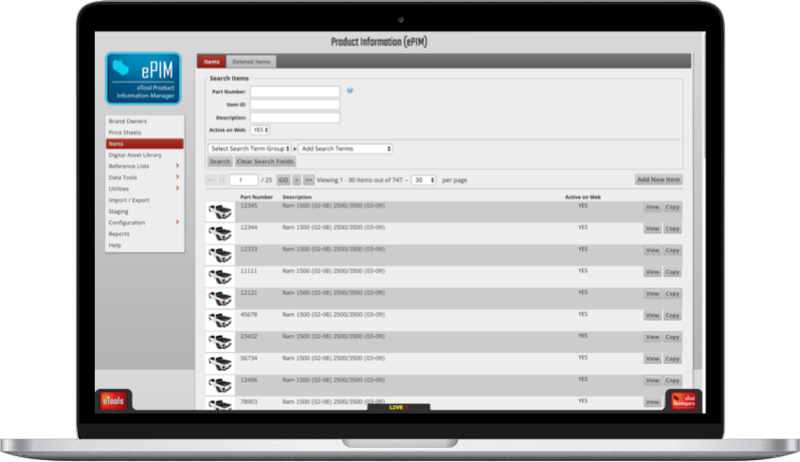 Want to increase your sales, use eLMP to teach the market about your parts! 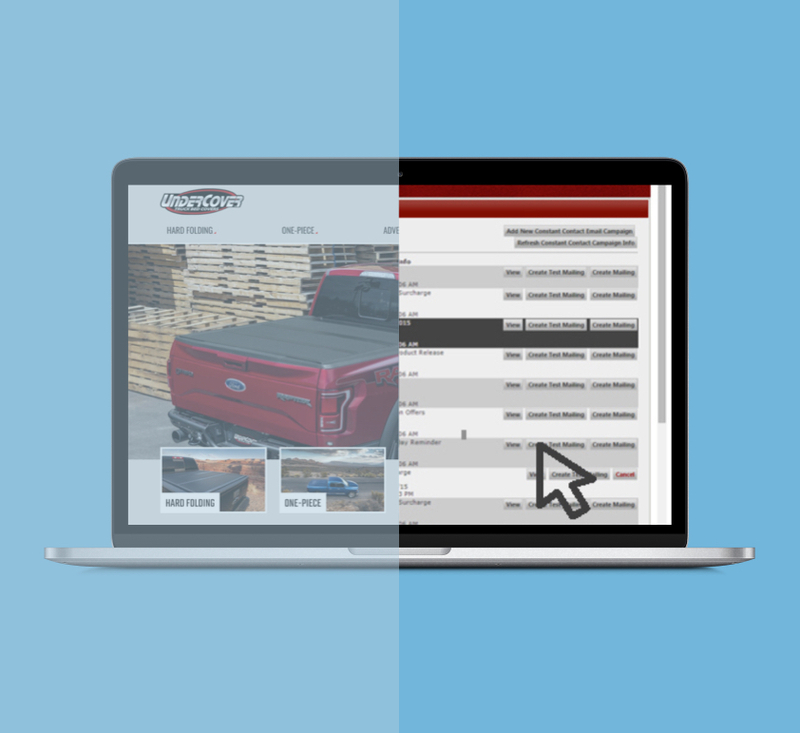 The Year-Make-Model Lookup allows your customers to easily access any part or accessory in your data that fits their vehicle. 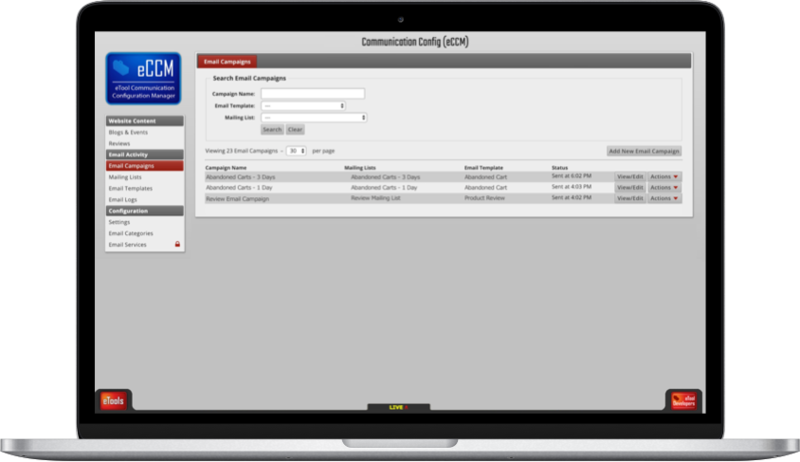 Using our partner Constant Contact and our back-end eCCM communication module, you can easily track and send as many customized e-mail campaigns as you need! In the age of smartphones and tablets, it is more important than ever to make sure you're reaching your target audience on any device they are using to view your website. Mobile responsive optimization ensures that your website will adjust beautifully to any screen size. 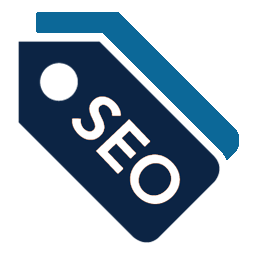 Keep up with the competition by utilizing Search Engine Optimization on your website. 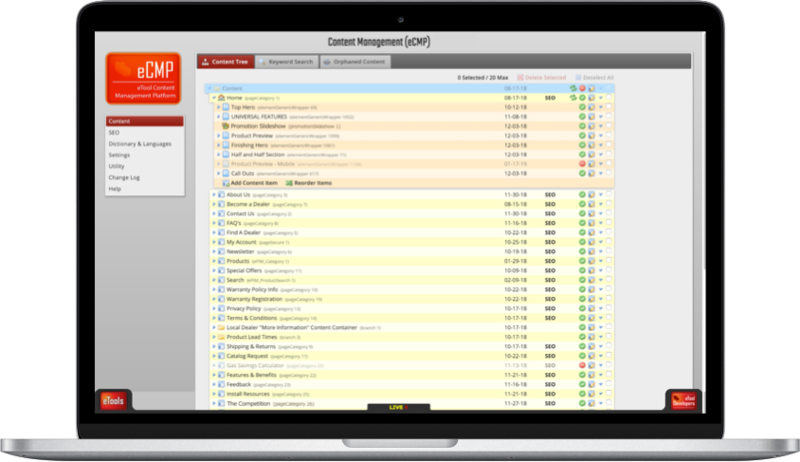 Raise your google ranks with our built in SEO tool in eCMP. 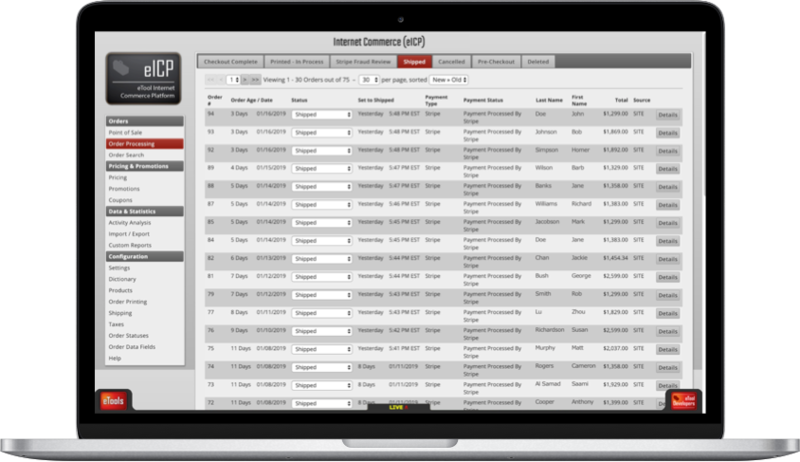 A custom dealer portal will enhance fluidity of business operations and streamline interactions with your dealers. 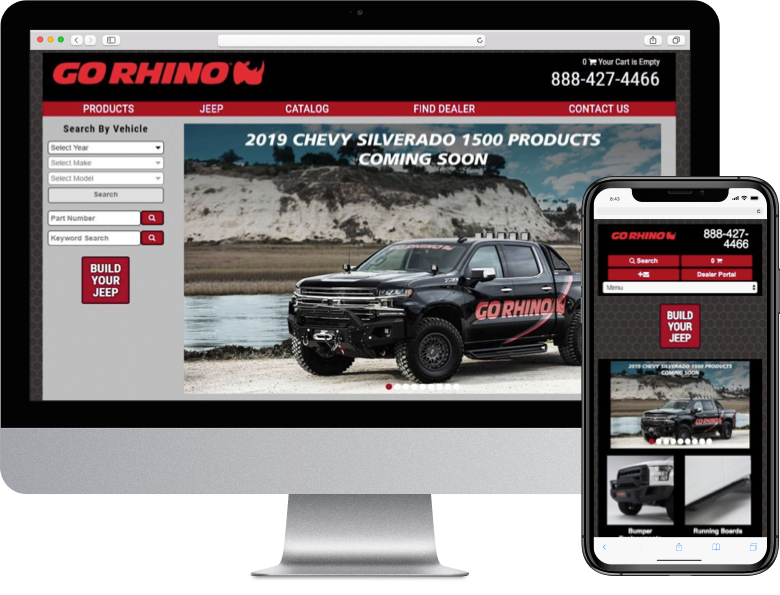 It is a great way to update dealers with company news, take orders for parts online, and store documents for dealer access. 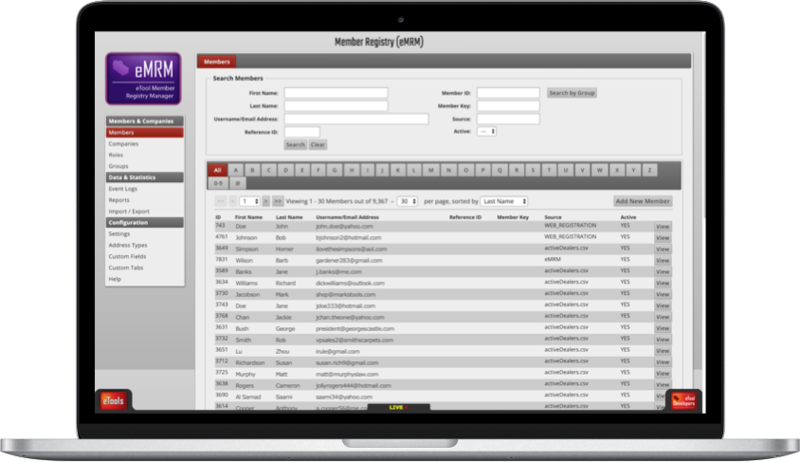 We have the ability to create a wide variety of features and functions for dealer portals. 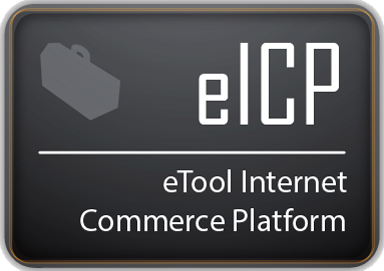 Sell your products online with eTools eCommerce platform eICP. 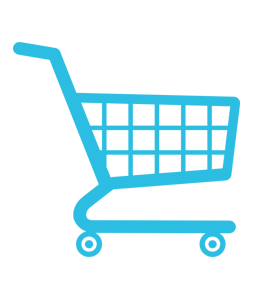 Import and export product data, keep track of order processing, update pricing and control coupon campaigns all in one convenient location. Do you want to expand your business to audiences worldwide? We are able to create customized multilingual websites using our back-end language tools.